Tag Archives for " Lucy Benton "
The truth is that it’s particularly important to maintain an appropriate social media profile in order to ensure that everything is handled as per the highest industry standards. Let’s be honest – each one of us has a social media page. Regardless of whether it’s Twitter, Facebook, Instagram or something else – we all have them and we all use them regularly. This is the main reason for which maintain an appropriate and professional social media profile is absolutely essential for any business which wants to be impactful. However, this is a lot easier said than done. Luckily for you, there are a lot of comprehensive solutions on the Internet which are going to help you out. We’ve taken the liberty of providing you with a list of 7 online tools which are going to significantly improve your social media profile of the business that you are running. So, without any further ado, let’s go right ahead and take a quick look. Rignite is a tool that is designated to conveniently streamline the overall process of managing a few different social media accounts at ones. Handling more than one account becomes visible on one single dashboard. Users are then given the chance to schedule individual or group posts as they find it appropriate. This is something particularly convenient. It could also link up with a previous made Feedly account as there is a lot of past content which needs to be curated. Campaigns carried out with Rignite are particularly successful as this tool is capable of scheduling a range of different and similarly-themed posts throughout a week or a day and to grow the email list of a company significantly. This is a very comprehensive real-time social media monitoring application. It’s designated to conveniently cross platforms and to allow you to know what’s trending throughout the entire internet at any given moment. Users are capable of setting up Mention in order for the app to alert them when a certain keyword starts to trend as well as when the material that you post is shared. It is also going to connect members of a company team as it will allow them to communicate the different trends in order to react to certain Twitter tweets of Facebook posts, for instance. This is an app which is going to provide you with monitoring capabilities regarding popularity as well as activity on Twitter. Through its dashboard, you are capable of viewing different posts from the past as well as the posts which are being shared the most throughout the entire web. You are also capable of analyzing your own Twitter interactions. For instance – which sites are being shared from as well as who contacts you and who you contact the most amongst a range of other things. 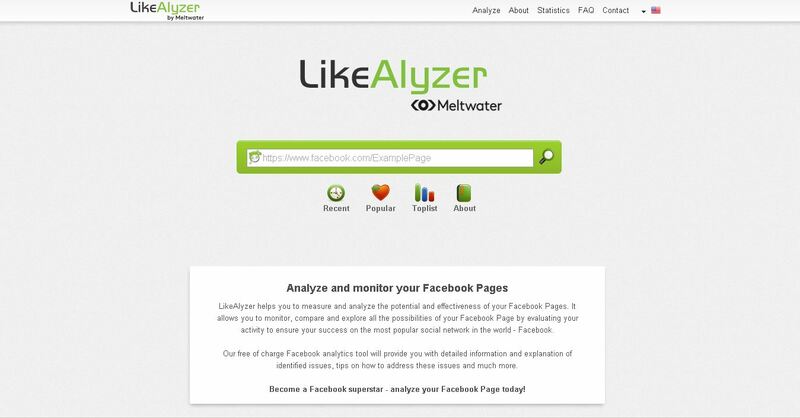 LikeAlyzer, as the name suggests, is a tool which is designated to analyze Facebook Pages. It is then going to rate the performance of the page based on a range of different factors. It takes a lot more into account than just the fans of the page. It’s going to analyze the interaction with fans, how many posts the page does per day, the type of media shared through the page and others of the kind. However, the best thing that the tool does is that it suggests top performing approaches improve one’s page and to gain more exposure. And, on top of everything else – it is absolutely free. If you don’t have enough time or too busy you can always rely on the team of real specialists. This online tool always helps you with writing post, news or reviews on you business and just updating the information on the profile. This is another very convenient tool that may significantly improve your social media profile standing. It is going to take all of your interests and it’s going to curate articles as well as multimedia in a dashboard that you can easily skim through. You can set up quite a lot of different social media accounts and link them to Sway, hence you can easily get thoroughly curated content, depending on your needs. Nimble is a convenient enough as it truly connects every single aspect of your online presence and it gathers it into one convenient account. Contacts, emails, social media accounts and schedule are all combined in one in order to be easy to use, navigate and target. This is also undoubtedly one of the cheapest tools out there as the Pro account comes at the modest $15 per month. This is something which focuses on curating as well as sharing different images. With it, users can schedule posting images to Pinterest as well as to discover other images which are currently trending on the website. You can invoice other social media accounts and you can also use your Picassa, Canva or Dropbox accounts as well as the RSS feeds that you actively subscribe to. The business account goes for approximately $99 per month. As you can see, there are quite a lot of different tools that you can easily take advantage of in order to significantly enhance your overall online presence. This is something which will provide you with a tremendous amount of different benefits and you should certainly consider them. After all, we live in the digital era and it’s important to be trending and viral, regardless of the social media that you use. It has become an integral part of any business and optimizing it is, as you can imagine, critical. 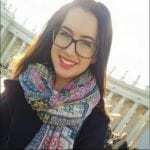 Lucy Benton is a marketing specialist, a business consultant who finds her passion in expressing own thoughts as a blogger, who currently works at Admission service. She is constantly looking for the ways to improve her skills and expertise. If you’re interested in working with Lucy, you can find her on FaceBook.